The Daniel Fast is a 21-day eating pattern based on the words of Daniel in the Bible. Plant foods are the focus of this eating plan, and it's based on the principle of restriction and becoming closer to God. Unlike other religious fasts, it's more of a partial fast that restricts all animal products, additives, preservatives, flavorings, caffeine, alcohol, added sugars and refined grains. Instead, you're meant to eat lots of fruits, vegetables, whole grains, legumes, seeds, nuts and plant oils, with water being the beverage of choice. Because of these restrictions, it's essential to cook and prepare your own food on the Daniel Fast. So these easy and Daniel Fast-approved recipes will help you stay compliant during your 21-day journey without feeling deprived. Since breakfast usually means milk, eggs, bacon and sausage, it can be the most difficult meal with the Daniel Fast. 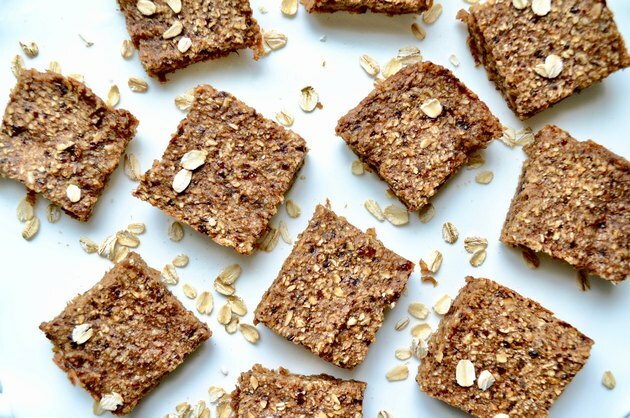 Not to mention, store-bought breakfast bars are usually filled with refined grains, eggs, added sugars and preservatives, and aren't allowed on the Daniel Fast. But these Banana Breakfast Bars take minimal preparation and will satisfy your hunger in the morning. Plus, they'll last up to five days in the refrigerator. Since the Academy of Nutrition and Dietetics recommends at least 25 grams of fiber per day for women and 38 for men, you'll get a big fiber boost from the oats, bananas and prunes. Pair with a piece of fresh fruit, and you'll be ready to start your day. The Daniel Fast doesn't necessarily mean you have to give up your favorite foods; you just need to find a different way to make them. Pancakes are a staple breakfast food, but refined flours, eggs and milk are off limits. 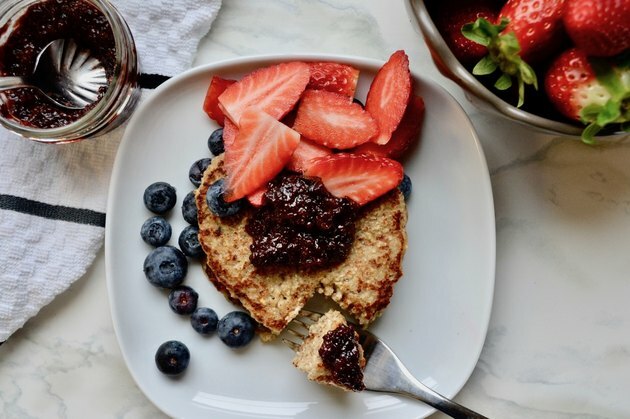 So these oatmeal pancakes are made with approved ingredients, such as bananas, whole grain oats, flaxseed and water. Another dilemma is how to top your pancakes. No sugary syrup here. Make your own jam with fresh or frozen fruit and chia seeds. When chia seeds are added to a liquid, they gel up and give you a perfect jam consistency. And according to Journal of Food Science and Technology, chia seeds are sources of omega-3 fatty acids, antioxidants and fiber. Snacking on the Daniel Fast can be challenging. But a little preparation goes a long way when hunger hits. Packaged flavored nuts are filled with preservatives and flavorings that may not be Daniel Fast-approved. So flavor your own nuts with herbs and spices for an easy, healthy way to snack. Walnuts and canola oil are plant-based sources of omega-3 fatty acids that may be missing in your diet. The National Institutes of Health indicate omega-3s may play a health promoting role in reducing Alzheimer's disease and reducing the inflammation associated with rheumatoid arthritis. 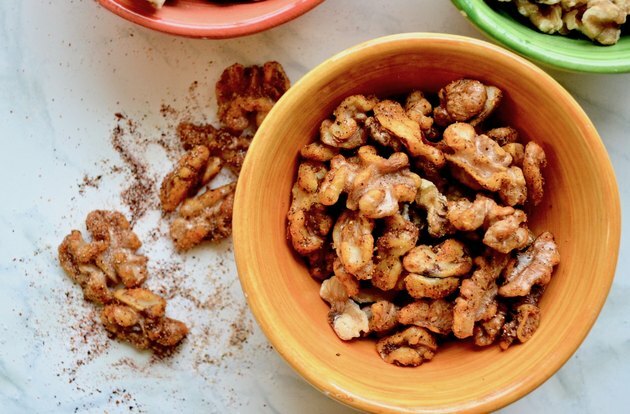 So make a batch or two of these Spicy Tex-Mex Walnuts to keep on hand when you need a snack to fill you up. 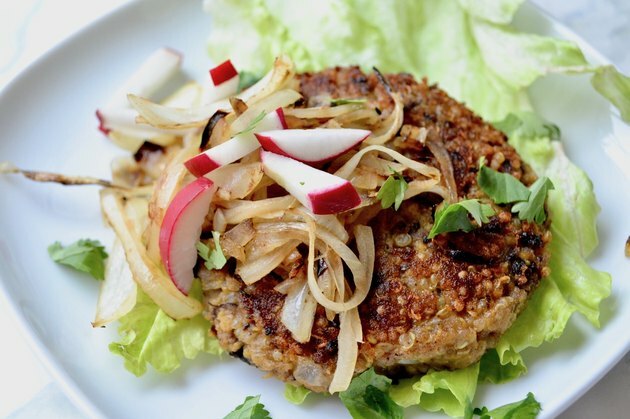 Store-bought veggie burgers are loaded with preservatives and hard-to-pronounce ingredients. These Sweet Potato, Black Bean and Quinoa Burgers are a hearty and satisfying meal with natural and Daniel Fast-approved ingredients. The burgers can be shaped ahead of time, stored in the fridge for up to a day, and then warmed up in a skillet when you're ready to eat them. Wrap in a crispy iceberg lettuce leaf and top with caramelized onions for a dinner you'll look forward to all day long. According to the National Institutes of Health, people who followed a vegetarian diet were 12 percent less likely to die from all causes than non-vegetarians. Keep this recipe around when your Daniel Fast is finished and stick to a plant based diet for health. The Daniel Fast doesn't allow refined pastas, but thanks to zoodles, you can enjoy pasta-like dishes on the Daniel Fast. Zucchini, sweet potatoes, beets and carrots are all common vegetables that can be made into "noodles." Zucchini is low in carbohydrates and a good source of vitamin C, a powerful antioxidant essential in keeping your skin healthy. 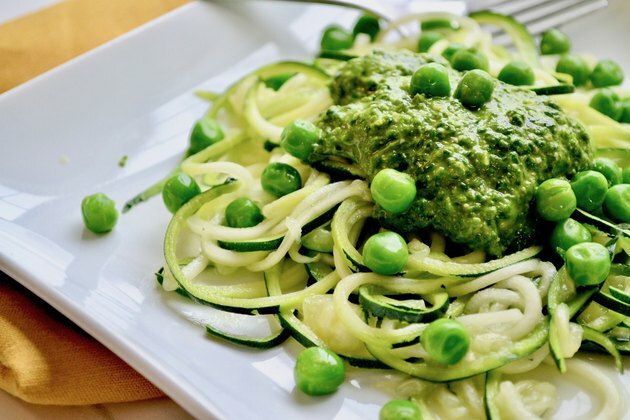 Pair those noodles with one of the most versatile and flavorful sauces — pesto. It can be made with many different types of greens, such as basil, arugula or spinach. Preparation is easy, and this dish can be made in less than 30 minutes. Pair with a green salad or roasted potatoes for a hearty and filling meal. Since Daniel Fast guidelines don't allow for leavened bread, you may feel like you're missing out. Many store-bought breads have ingredients like baking powder, yeasts, refined flours and preservatives that aren't approved on a traditional Daniel Fast. You may also find the same issue with store-bought crackers. Luckily, making your own crackers at home is relatively easy. These are great for a snack or when that craving for bread hits, as whole grains are a must on the Daniel Fast. The Harvard T.H. Chan School of Public Health praises whole grains as the "complete package" — filled with fiber, iron, zinc and magnesium. 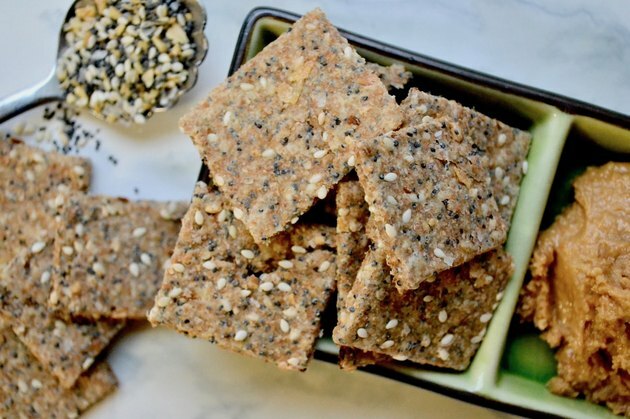 Pair these crackers with some homemade hummus, fresh ground peanut butter or homemade chia jam (see pancake recipe above). These will last for three days at room temperature in a sealed container. The Daniel Fast doesn't allow for refined flours, so that means no white pasta. If you still want the taste and texture of pasta, lentil pastas are an excellent alternative. Made from green or red lentils, these pastas are Daniel Fast-approved. You also get fiber and protein from each bite. 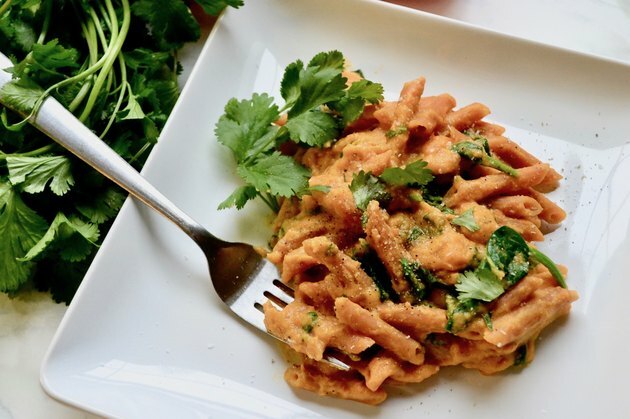 If you want more fiber, add this creamy red pepper sauce. White beans are the secret ingredient and mimic dairy-based cream to make a thick sauce that coats the pasta. Pair with a side of veggies and fresh fruit for a well-rounded Daniel Fast dinner that's also Mediterranean Diet-approved. The Mediterranean Diet has been hailed as one of the healthiest diets and may lower the incidence of cancer, heart disease and metabolic syndrome, according to Colorado State University. When looking for Daniel Fast-approved recipes, look no further than the Mediterranean Diet. The Mediterranean diet was ranked as the number one diet for 2019, according to U.S. News and World Report. Many recipes for this plant-based eating pattern are also Daniel Diet-approved. 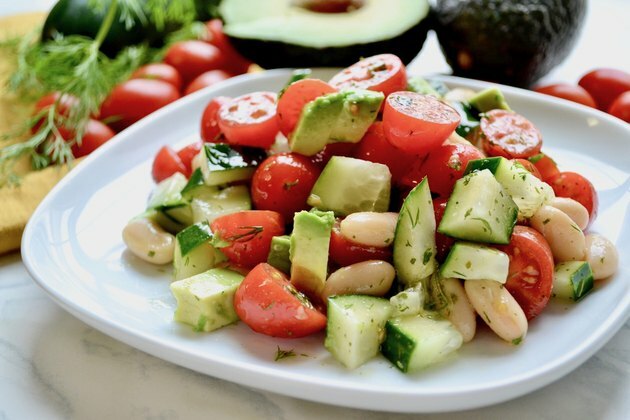 This light salad filled with tomatoes, cucumbers and herbs gets a good kick of protein from beans and healthy monounsaturated fats from avocado and extra virgin olive oil. Since this salad comes together in minutes, so don't make it ahead of time. The Daniel Fast doesn't allow for white rice, and if you are not a fan of brown rice, which is a whole grain, cauliflower rice may be a good swap. 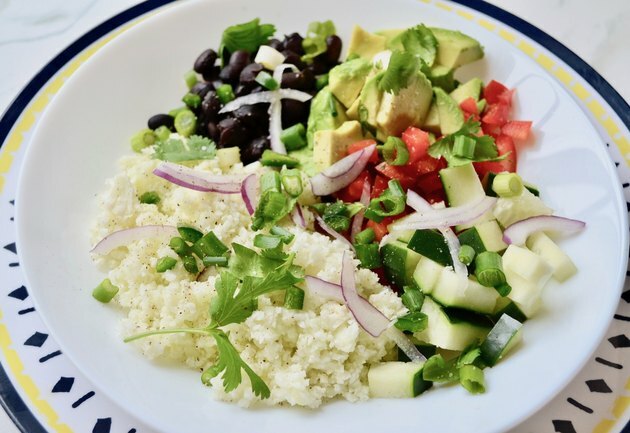 This super low-calorie, low-carbohydrate vegetable shines in its versatility with these Cauliflower Rice and Black Bean Burrito Bowls. Black beans add fiber and protein, and then pile on the veggies to fill you up. Additionally, cauliflower is a source of fiber, antioxidants, vitamin C, vitamin A and folate, according to the University of Texas School of Public Health. If you can't make your own cauliflower rice, find it already "riced" for you in the produce or freezer section of your grocery store. 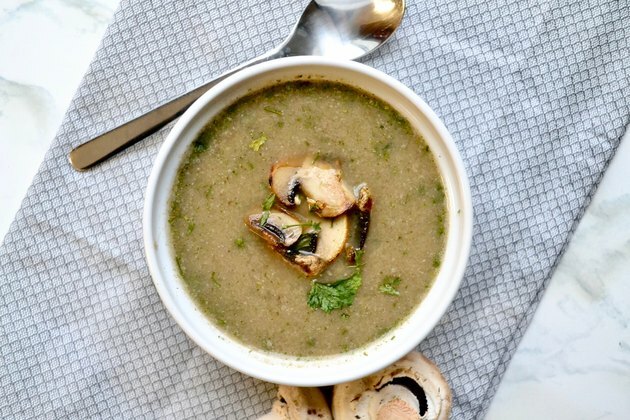 Participating in a 21-day Daniel Fast doesn't mean you have to give up your love of creamy soups, just hold the cream and add beans. It's possible to revamp many soups and replace the heavy cream with pureed white beans. You get an added bonus of fiber as well. This hearty soup is the perfect comfort food, and you may already have all of the ingredients. Look for packaging on mushrooms that indicates they've been exposed to UV light, meaning they contain vitamin D.
According to the Mushroom Council, mushrooms are the only natural source of vitamin D in the produce aisle, with three ounces of crimini mushrooms providing more than 1000 IU of vitamin D — 44 percent above the recommended daily amount.